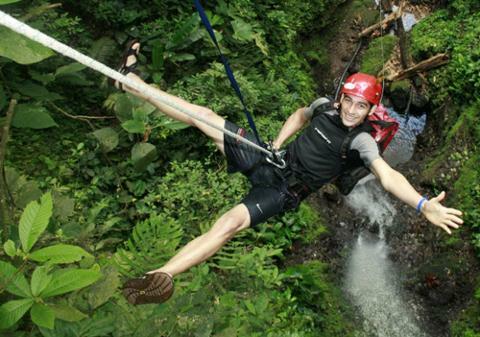 You’ll get to the town of La Fortuna just in time to catch a tour to the Lost Canyon to do an exciting canyoneering tour. 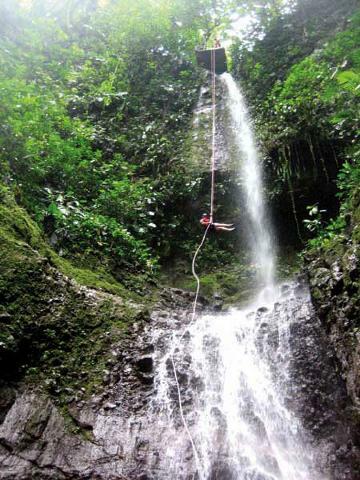 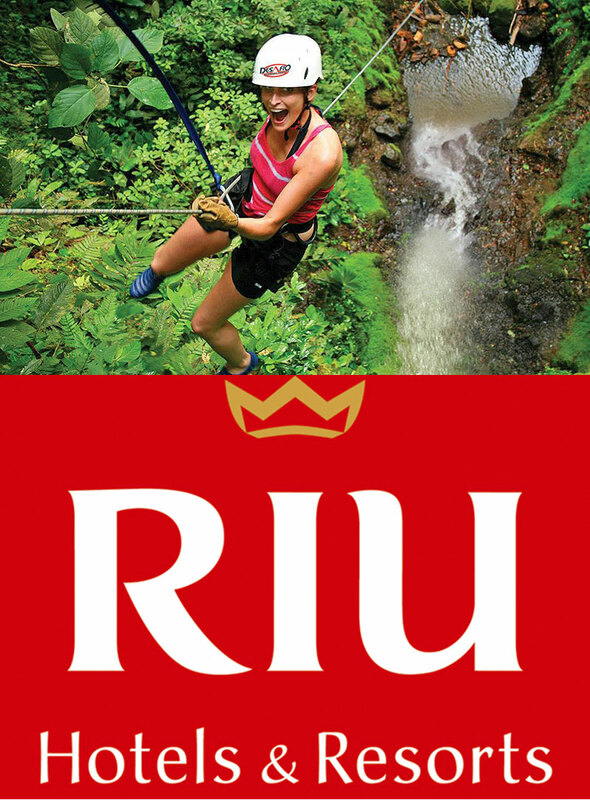 On this tour you’ll rappel, down-climb, jump into pools and trace along a gorgeous jungle canyon that runs along the base of the Children’s Eternal Rainforest. 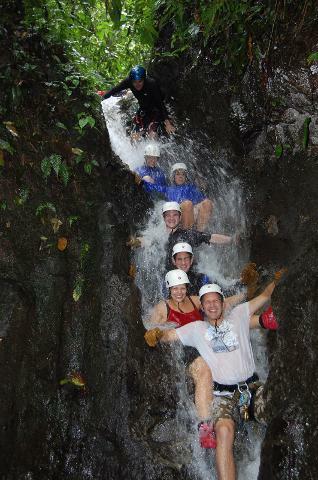 Two of the tropical waterfalls are over 200-ft high and you’ll take advantage of a heart-pounding “guided-rappel” as you zip your way to the base. 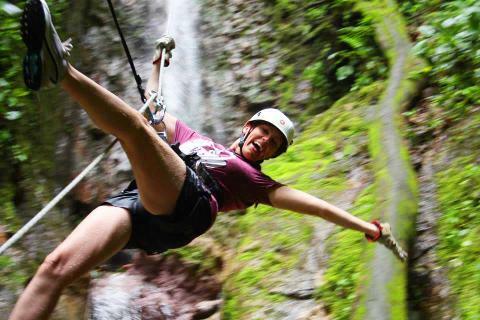 After the excitement of the tour, you’ll make your way back up the canyon to our Canyon Café to clean-up, change into your dry clothes and have a delicious, natural lunch. 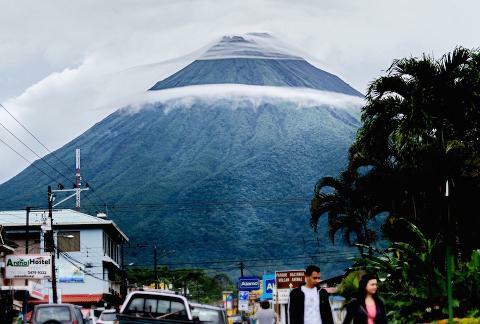 You’ll then have free time to roam around the friendly and touristic town of La Fortuna to do souvenir shopping and hang out at local coffee shops.